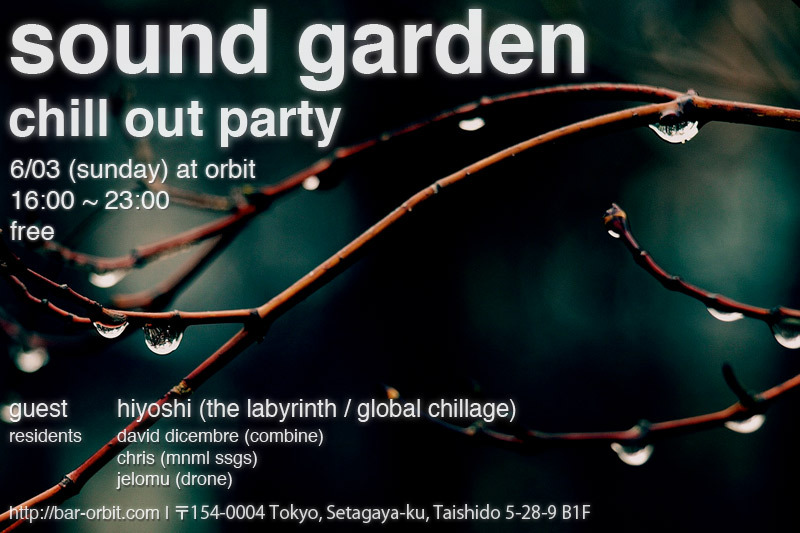 After that, our next Sound Garden chill out party at Orbit is planned for Sunday 22 July. So please put these dates in your diary. We are continuing our mission to bring chill out back to Tokyo! simply amazing! !....the stars align and im in Japan for the first time in June. Will definitely be at the FRUE gig. Obviously a few weeks away, however can you only buy tickets from the venue directly in person? ooh. that WWW place looks really nice. and Funktion One too no less. Must check it out next time I am there! anyone know what the rental conditions are like? always looking for good venue. and capacity? looks kinda small but might just be the pic... also, is the Terre's music that comes on when you go to RA event? how cool is that! ?